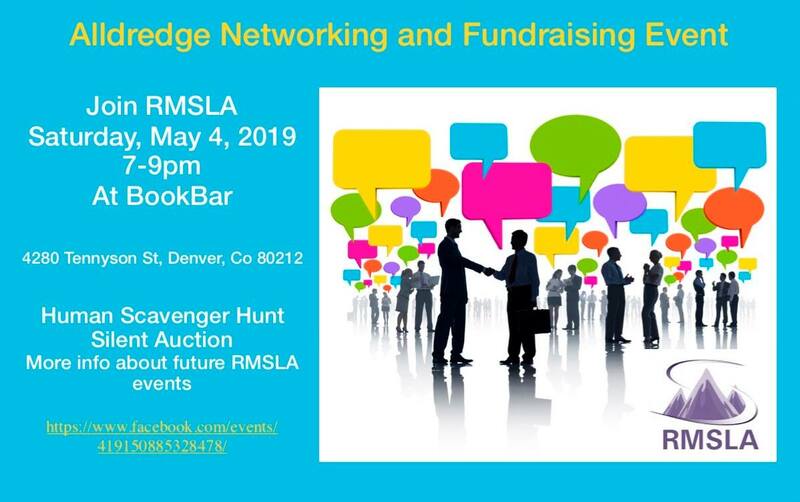 Join RMSLA for our first event of 2019 with an evening of networking and a silent auction to support your local chapter! Proceeds will benefit future chapter activities and SLA conference attendance. Silent auction items so far include Alamo Draft House movie tickets, Denver Escape Room gift cards, Cecolors and company spa basket, Carboy Winery wine/charcuterie board, and Plucky coaching and training swag. More details and info coming soon! $25 donation gets you entry and two drink tickets. We are also going to do a human bingo / scavenger hunt exercise!